HOUSTON (KTRK) — A Houston man injured when a Harris County Deputy Constable ignored a stop sign says the law unfairly limits his ability to recover the expenses he is incurring from medical bills. Andrew Henderson was hit while riding his bicycle accident attorney information on October 3 at the intersection of Wichita and Chevevert. Authorities say he was southbound on Chenevert on the right side of the street. The Precinct 7 Deputy Constable was eastbound on Wichita, responding to a “priority 2” call for service. Officials at the Precinct 7 constable’s office say that means she would have had lights on but no siren. Henderson doesn’t remember lights or a siren. “It was like what I imagine being struck by lightning would be like,” said Henderson. 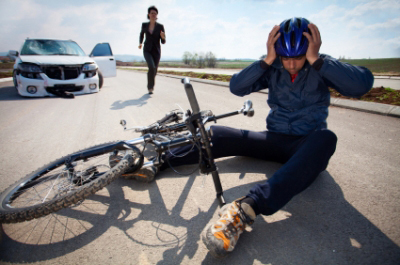 How did the bicyclist accident happen? Henderson was thrown partially through the windshield of the patrol car, head first. The force of the impact then carried him 68 feet from the point of impact, according to the report. “Very frightening. I didn’t think I was gonna live for quite a bit of that,” Henderson said. Henderson spent three days in the hospital, ending up with a fractured foot, exposed elbow joint, broken nose and a set of stitches to his face. His medical bills are still mounting and he says they will quickly surpass the $100,000 limit prescribed by law in a case like this involving a deputy constable. “I think it’s ridiculous that I’m going to have to end up having to pay for this,” he said. He wonders how he might pay for the medical bills. The injuries will keep him from working for at least two months. His bartending job, he fears, will be gone by then. We were not successful in contacting the former deputy constable. Precinct 7 says it was planning to fire her before she quit. It’s not clear if she was given any traffic citations. Henderson is considering his legal options.